Twenty-five years ago, I learned a lesson that has shaped my career as a CPA, leading me to focus my practice on tax advisory services. I often think about that experience when I am burning the midnight oil in November and December doing year-end projections for clients. I remember that voice and do all I can to ensure that whatever a client might owe, it doesn’t come as a last-minute surprise. While knowing in advance doesn’t make writing the check or parting with hard-earned money easy for clients, at least it takes the sting off. I always try to give them several months notice. 1. Meet with your accountants during the last quarter and have them do a projection of what your tax picture is going to look like in April. With a little effort and armed with all the information available, accountants can come pretty close to estimating what might be owed before Tax Day. In order for accountants to do these projections, they will need financial statements and an estimate of what the company expects to do in the fourth quarter. 2. Tell your accountants about any unusual or major transaction occurring during the year as soon as it happens. Better yet, tell them about it before it happens. At a minimum, they will be able to give you an idea about what the tax consequences of the transaction will be, and frequently if they are brought in early enough, they may be able to help structure the transaction to save on or postpone the tax bite. 3. Don’t forget about quarterly estimated tax payments. As most people reading this article know, the first one is due April 15, the same day as the balance due on the prior year’s tax is due. When you do your year-end tax planning in November or December, ask your accountant to include a calculation of what the first quarter estimate is going to be. Again, this will give you time to prepare. In some cases, you may discover that you can reduce or even eliminate your last quarterly payment for the current year. 4. So, this tip is a little self-serving, but don’t be surprised when you get a bill from your accountant for the year-end planning and projection that is nearly as much as the charge for preparing the return. It takes some time to do a good job that will give you good information. It takes skill and time to come up with a reliable a projection. I will leave you with this little anecdote: A few years back, a client had sold his business and the tax that was due on April 15 was several million dollars. He had followed all of the tips above and was prepared financially to write the BIG check. As he pulled out an old-fashioned checkbook with three checks per page, he looked me in the eye and asked, “What happens if I don’t write this check?” I was prepared for the question because I had heard it many times before. The answer was, “Worst-case scenario, you could become a guest of the federal government in one of their less-desirable facilities.” The follow-up question was one that I had not heard before, “For how long?” I told him it didn’t matter because the IRS would just take the money anyway. He wrote the check. 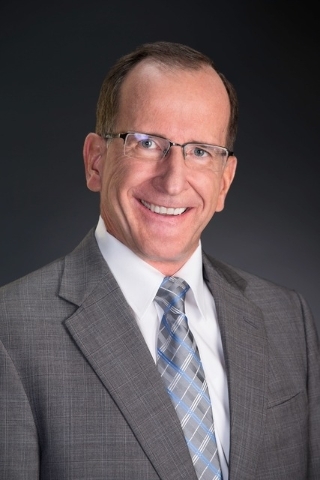 Chris Wilcox is the taxation and transition partner and co-founder of JW Advisors, a Las Vegas-based consulting firm specializing in business financial consulting, litigation support and forensic accounting, assurance and tax services. Reach him at 702-304-0405.